Windows 10 Start Menu Search Not Working is a common problem of most of the users. Are you suffering from same problem? You want suggestion or you need to fix instantly? Don’t worry because we’ve picked the right solution for you. Let’s jump directly over the content! One of the problems that you might have in Windows 10 is that the start menu or Cortana being blocked, and there is no way to reopen them. 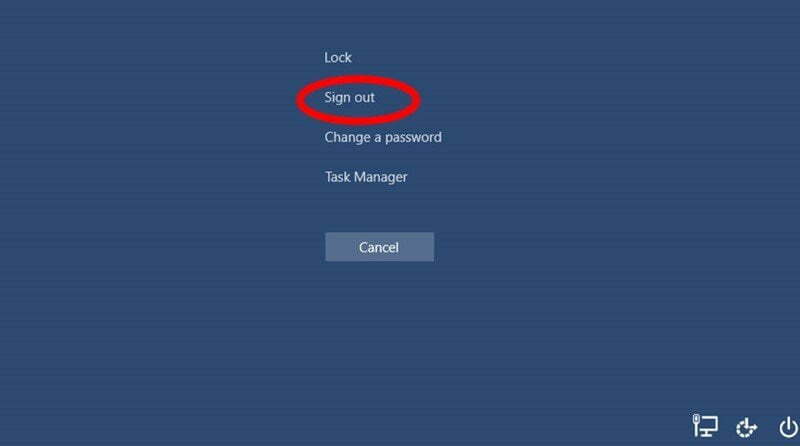 If it happens to you today, we’ll tell you what to do when the windows 10 search not working. We are going to tell you several steps that you have to take, from less to more aggressive, when you detect this problem. 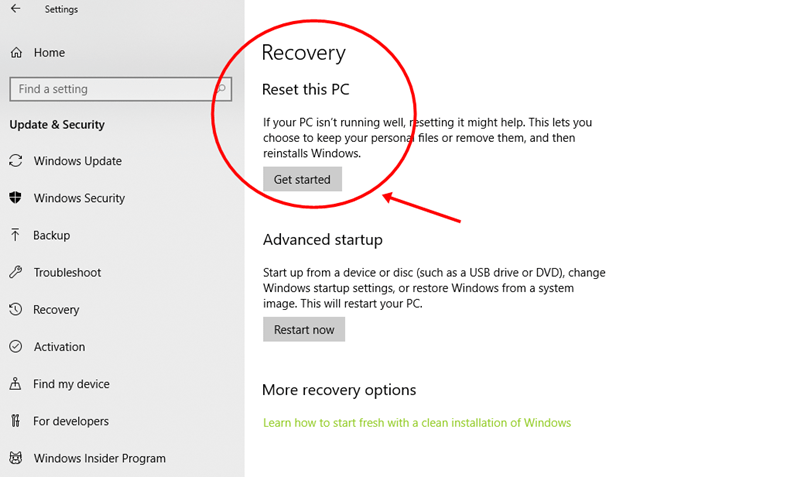 It may be enough to restart the computer, but it is also possible that you have to reinstall Windows. There are many users who have reported problems with the Windows 10 Start menu, either sometimes it does not open or goes slow, or the system directly shows an error message indicating that ” the Start menu does not work ” and that will be fixed the next time you restart the computer. 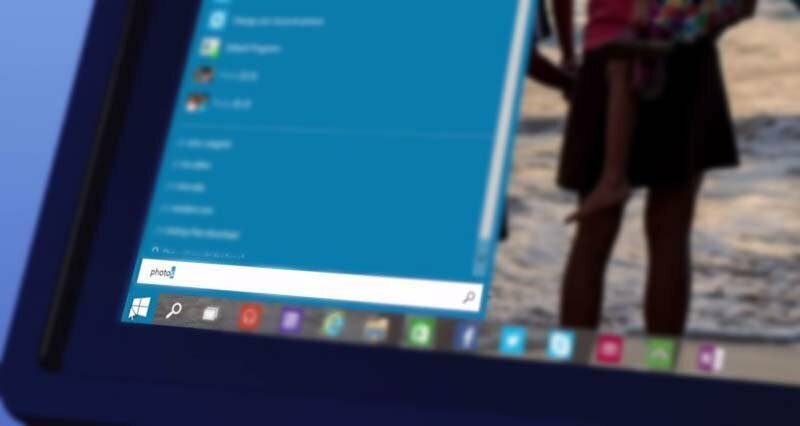 Just follow our 5 tips and tricks on windows 10 start menu not working. When something is not going well, try restarting the computer before putting yourself on trying other solutions. Whether it is iOS, Android, Windows, Linux or OS X, it is recommended to restart the device first of all; in this case, you can get any surprise. Believe it or not, many times, the error in the computer has been solved with a simple restart, not only is that related to the Start menu, but also any kind of strange behavior. Sometimes, we are even forced to do so because suddenly the monitor loses the image, or we encounter similar problems that we have never been before, the computer is really mysterious. We don’t want you to think that the reboot is a magic solution. Rather, you could qualify it as a preventive step, prior to any other type of action. Better to try to restart, than to realize that with a restart, it would have been fixed after having spent an hour trying to find the solution, right? You can always try to uninstall your antivirus or firewall programs. 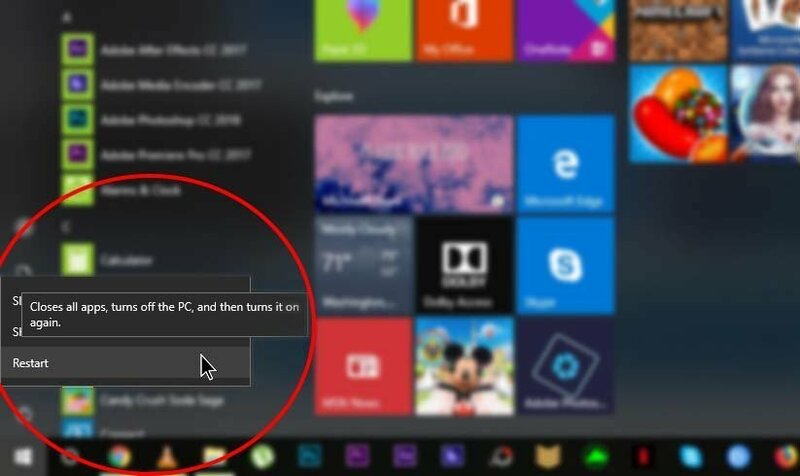 Some users have commented in various forums that after removing these kinds of software, not only the problems were fixed from the Start menu, but also they had fast working Windows 10. With Windows 10, you don’t need to have antivirus or third-party firewall. Besides, you can always try to disable these programs at first, but if it starts making the issue with the operating system, it would be better to remove them completely in order to check whether it’s the main problem or not. To delete a program, remember that you can use the Windows + Q keys to open the search engine, and write ‘ Program and features ‘. Within this section, you can modify or delete all the programs that you want. Do not forget to restart the computer when you have uninstalled your antivirus and firewalls. One of the solutions that Microsoft has recommended in its official forums is to close the session and restart it, something that has nothing to do with the fact is to restart the computer—so you should try it, even if you have already done it. To close the session in Windows 10 there are two ways, the first and fastest is to press the key combination Ctrl + Alt + Delete and you’ll see several options, among which you’ll find the Close session. However, another is also possible to open the Start menu, click on your username, and choose the option Close session. Sometimes, Cortana process also creates a problem for the start menu search. If so, you should restart Cortana, and the problem will be solved. To do this, what you have to do is to press the right-click and you’ll find “Task Manager”, and then click here. 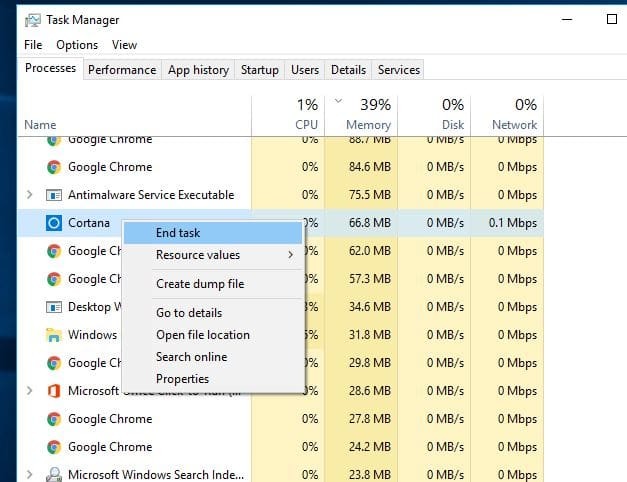 If it’s opened, find ‘Cortana’ option on the tabs and click on ‘End task’ button. Finally, the action will make Cortana process restart, hopefully, you’ll find the solution. Unfortunately, if you have reached this last step means that none of the previous options have been useful, so the only option you have is we wanted to avoid at the beginning, which is to delete all the content that means doing a format. Anyway, before testing the format option, Windows 10 offers a tool that can be accessed from the configuration menu. However, you will lose all your personal files and programs, the PC will be deleted entirely, so it is recommended to make a copy of what you want to keep. You can actually choose if you want to keep your files or not, so you can first try the option to keep your files, although I doubt, it will be useful. As we know, the computer is sometimes a mystery, so perhaps you’ll have the option to keep your files and your problem will be solved. Another option is called Reset your PC, and you can access it from the Settings menu that can be opened with the Windows + I keys if you cannot open the Start menu. Here you have to select the option ‘ Update and security ‘, and in the section on the left ‘Recovery‘, you’ll find what we were looking for. As the system itself indicates ‘Start’, you will have the possibility to choose to keep your files or delete everything as if it were a kind of formatting. When the process finishes, the computer will reboot and you will have your computer almost as good as new. Above all, if Windows 10 Start Menu Search Not Working properly becomes a problem for you, just follow our 5 tips and tricks. Hopefully, it will fix windows 10 start button not working process.